What’s the perfect thing to wear in the spring? A shawl, of course! No one likes bundling up in bulky layers when the sun is out and there’s a nice breeze to be enjoyed, but let’s face it: if a cloud passes over the sun, that warm day turns chilly in a hurry. This Peaceful Shawl from Fiber Flux is the perfect springtime accessory – simply layer it over any outfit and you’re good to go! If that sun pops out you can easily remove it without looking awkward, but when it gets chilly you’ll be glad to have a cozy knit shawl on your side! 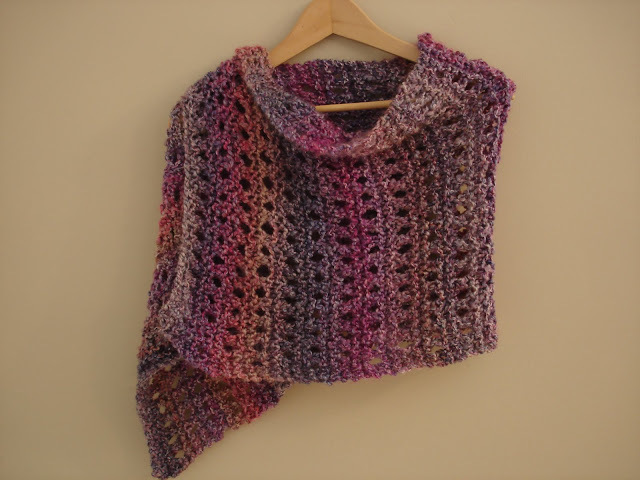 Do you wear shawls in the springtime?